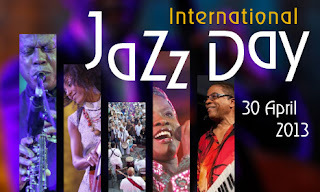 The Jazz Journalists Association's JazzApril campaign supports both Jazz Appreciation Month and International Jazz Day (April 30) We use JazzApril to refer to both and to stress that all of "April is Jazz Month." For those of us who live and breathe jazz, dedicating a month to jazz may seem a bit redundant, or even silly-- but what JazzApril (the JJA's project to support the Smithsonian's Jazz Appreciation Month + UNESCO's Jazz Day on April 30) is really trying to do is to reach out beyond the cognoscenti, and build new audiences for jazz. That can't help but be good for all of us. Cheers! "For over a century jazz -the universal language of passion and benevolence- has united people of disparate cultures, religions, and nationalities, fostered and strengthened communication and partnerships among heterogeneous groups, enhanced the peace-making process, and demonstrated just how much we all have in common. (...) No musical art form is more powerful as a diplomatic tool than jazz." - Message from Irina Bokova, UNESCO Director General and Herbie Hancock, UNESCO Goodwill Ambassador & Chairman of Thelonious Monk Institute of Jazz. Al Jarreau, Wayne Shorter and many other jazz virtuosos -- Herbie Hancock, Marcus Miller, John McLaughlin, Robert Glasper, Lee Ritenour, Terence Blanchard etc -- were assembled, April 29, in Istanbul's famous Topkapi Palace Gardens to announce the most anticipated global musical event of the year: April 30, Istanbul, the 'City of Two Continents' will be unique as the global hub of jazz, live-streaming from 7 p.m. local time the notes of freedom to the near and far corners of the world. 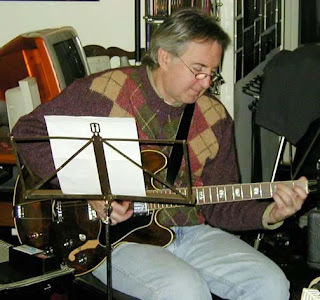 Another of my musical heroes passed away: Hugh McCracken, often mispelled Hugh MacCracken. In terms of electric guitar, he was the equivalent to what Jay Berliner and Gene Bertoncini represent to acoustic guitar. There's a good obituary below, written by Pierre Perrone to The Independent, focusing on his work with pop and rock stars like Paul McCartney, John Lennon, Alicia Keys and Steely Dan. A "first-call" musician (I hate the term "session player"), McCracken played in over 500 pop/rock/soul albums, and in over 200 jazz albums. Still in my childhood, I was also impressed by his performance on Roberta Flack's "Quiet Fire" and Aretha Franklin's "Let Me In Your Life" (both on Atlantic), followed by Bob James' debut on CTI, "One." Other highlights in my McCracken collection include contributions to albums by Rahsaan Roland Kirk, Hank Crawford, Esther Phillips, Idris Muhammad, Houston Person, James Taylor, Herbie Mann, Paul Simon, Gladys Kinight & The Pips, Ashford & Simpson, Eumir Deodato, Marlena Shaw, Laura Nyro, Van McCoy, John Blair, Paul Simon, Art Garfunkel, Billy Joel, Kenny Loggins, Billy Joel, Mike Mainieri, Stephane Grapelli, Carly Simon, Ralph MacDonald, Richard Tee, Sylvia Syms, Michael Franks, David Sanborn, Nancy Wilson, Dr. John, James Brown, Blood Sweat & Tears, Van Morrison, Patti Austin, Randy Crawford, Dolly Parton, Ray Charles and many many more. Back in 1971, the ATCO label released "Mike Corbett & Jay Hirsh with Hugh McCracken." For the Congress label, McCracken recorded a single as a leader, with the songs "What I Gotta Do To Satisfy You" and "Runnin' Runnin'." A rare/cult 2-LP set issued on CTI, "Genealogy of Crossover Guitarists," lists Hugh as main performer on the title track from Ron Carter's "Yellow & Green." Another track that showcases his talent on harmonica is Stanley Clarke's "Taxi Blues" from Fuse One's self-titled first album. When I produced Deodato's compilation "Do It Again" for Verve, in 2007, one my first choices was "Funk Yourself," which features McCracken's frenetic rhythm guitar. Rest in Peace, Hugh! The list of credits amassed by the New York session guitarist Hugh McCracken from the late 1960s to the mid-noughties reads like a who's who of popular music and includes the delightful 1970s coffee-table classics Young, Gifted And Black by Aretha Franklin, Abandoned Luncheonette by Daryl Hall & John Oates, Paul Simon's Still Crazy After All These Years and Roberta Flack's Feel Like Makin' Love, as well as Katy Lied and The Royal Scam by Steely Dan. His understated prowess prompted Paul and Linda McCartney to try to enlist him into the first line-up of Wings after the wonderful contributions he made to their chart-topping album Ram, most notably the solo on the opening track "Too Many People", and the simpatico picking and crisp riffing on their 1971 US No 1, the Noel Coward-meets-Abbey-Road medley "Uncle Albert/Admiral Halsey". "This song represented a breakthrough in our musical relationship," McCracken recalled. "Paul is a genius. He sees and hears everything he wants, and would give specific instructions to me and the drummer [Denny Seiwell]. But he didn't know what he wanted the guitar part to be like on this song. I asked him to trust me and he did. After I came up with the parts, he was very pleased. For the rest of the record, Paul let me try things out before making any suggestions." After McCracken backed Gary Wright, who had been a member of Spooky Tooth, on a European tour in the summer of 1971, he and his wife joined the McCartneys and Seiwell in Scotland, but he turned down their offer to join Wings. "He was such a New York guy that he didn't really like to be away from America," said McCartney when talking about Ram last year. "New York is such a satisfying town, you can walk one block and get anything, whereas you can't do that in the Mull of Kintyre." By October 1971 McCracken was indeed back in New York, recording "Happy Xmas (War Is Over)" with John Lennon, Yoko Ono and the Plastic Ono Band. After finding out that the guitarist had worked with McCartney, Lennon remarked that Ram had just been "an audition to get to me. He said you were all right." McCracken reconnected with Lennon and Ono for Double Fantasy, the comeback album issued three weeks before Lennon's murder in December 1980. "Like Paul, he was extremely intelligent and aware of what he wanted in the studio," said McCracken of the sessions that included "(Just Like) Starting Over", "Woman" and "Watching The Wheels", and several tracks released posthumously on Milk and Honey in 1984. "But you'd never find two more diametrically opposed personalities. I was working on Double Fantasy at the time of his death. How long did it take me to recover from that night? I still haven't recovered." Born in 1942, McCracken grew up in New Jersey in a music-loving family. His plumber father led a dance band at weekends while his mother worked in night-clubs. She also played country music around the house, undoubtedly inspiring the picking style that was one of his trademarks. His chief motivation when he began playing the electric guitar his mother bought him in the mid-1960s was to impress girls, but he learned music theory and became a versatile musician, able to switch to banjo or acoustic guitar, as well as harmonica, and to contribute arrangements and production ideas when necessary. His breadth of styles also embraced the jazz and rhythm and blues he picked up from a friend's record collection. This enabled him to shine when his mother got him an audition with the saxophone virtuoso King Curtis, who hired him for his 1961 album Trouble In Mind. He can be heard on the bubblegum recordings of the fictional band The Archies and played rhythm guitar and traded solos with blues giant BB King on his 1969 crossover album Completely Well. Equally comfortable backing the singer-songwriter Laura Nyro on the epochal Eli and the Thirteenth Confession (1968), Johnny Hallyday on a rare New York outing entitled Flagrant Délit (1971) or the soul-jazz vocalists Eugene McDaniels and Marlena Shaw on a run of albums that became rare groove favourites, he was also part of the coterie of Big Apple musicians who moonlighted in Mike Mainieri's experimental jazz-rock outfit White Elephant Orchestra. These included fellow guitarist David Spinozza, who committed a faux pas by accepting another booking after starting work on Ram, and was replaced by McCracken on Denny Seiwell's recommendation. McCracken, who died of leukaemia, was a stalwart of many Steely Dan sessions, excelling on "Hey Nineteen", one of the definitive tracks on Gaucho (1980), Donald Fagen's solo homage to radio The Nightfly (1982), and the Dan's Two Against Nature (2000) and Everything Must Go (2003). His résumé ran the gamut from saxophonist Tom Scott's New York Connection (1975), with both him and George Harrison playing slide, to The Diary Of Alicia Keys (2003), featuring the worldwide hit "If I Ain't Got You". 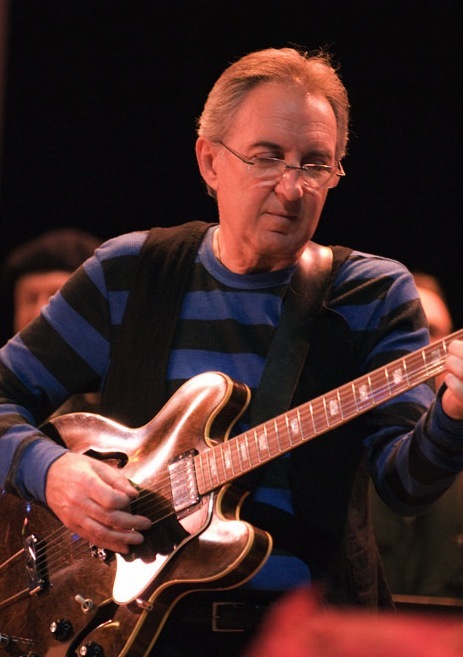 Hugh Carmine McCracken, guitarist, songwriter and producer: born Glen Ridge, New Jersey 31 March 1942; twice married (two sons, two daughters); died New York 28 March 2013. Blu-ray of the Month - "Miles Davis with Quincy Jones & The Gil Evans Orchestra"
Featuring: Miles Davis, Quincy Jones, Wallace Rooney, Kenny Garrett, Mike Richmond, Grady Tate, Gil Goldstein, Delmar Brown et al. 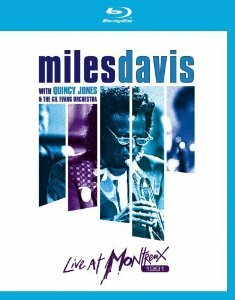 Previously released on LaserDisc as well as on DVD as part of the 10-disc set "The Definitive Miles Davis at Montreux Collection 1973-1981," it came out now on Blu-ray format, released here in the USA on March 19, 2013. This concert from July 8th, 1991 was the last of Miles Davis many appearances at the Montreux Jazz Festival and took place only a few months before his death. Despite a defiant never look back philosophy, Miles was persuaded by Quincy Jones and Claude Nobs to take part in this tribute to his great friend Gil Evans, who had passed away in 1988. This truly unique concert was an historical event and a musical triumph, thankfully captured here for posterity. Miles Davis was a giant of 20th century music and this concert is as much a tribute to him as it is to the late Gil Evans. 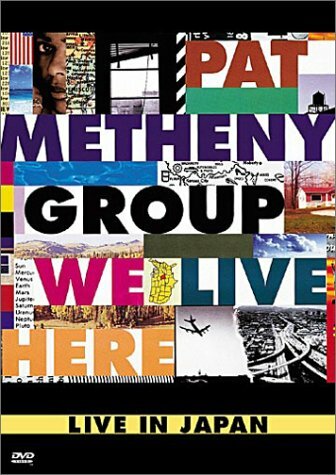 DVD of the Month - "Pat Metheny Group: We Live Here - Live in Japan"
Filmed in 1995, reissued now on DVD on March 12, 2013. Six years after their previous studio album, the Pat Metheny Group regrouped in 1995 to release the album "We Live Here." 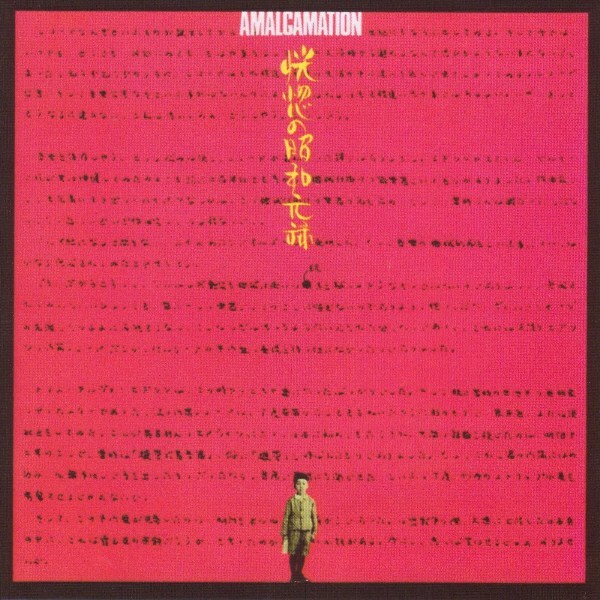 This was to be the first of a set of three albums that the band refer to as the triptych, the others being "Quartet" (1996) and "Imaginary Day" (1997). 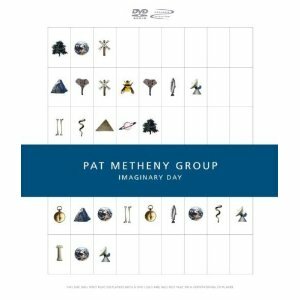 Following the release of the album, the Pat Metheny Group embarked on a world tour during which this concert was filmed in Japan. Many of the tracks from the "We Live Here" album are included along with others from their various eighties albums. There are short interview segments with the band members inserted between some of the songs which give an insight into the creation of the album and life on the tour. 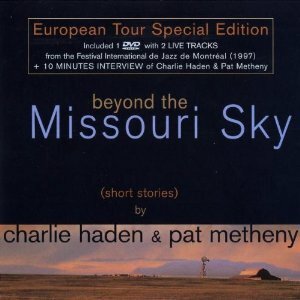 CD/DVD Set of the Month - "Charlie Haden & Pat Metheny: Beyond the Missouri Sky"
DVD-Audio of the Month - "Pat Metheny Group: Imaginary Day"
CD Box Set of the Month - "Weather Report: The Columbia Albums 1971-1975"
Featuring: Joe Zawinul, Wayne Shorter, Miroslav Vitous, Alphonse Mouzon, Airto Moreira, Alphonso Johnson, Eric Gravatt, Dom Um Romão, Ralph Towner, Hubert Laws, Andrew White, Wilmer Wise et al. 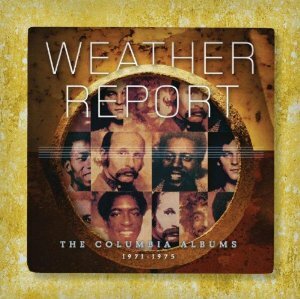 For many, the story of Weather Report begins with the late 1970s albums that featured the addition of electric bassist Jaco Pastorius (as documented on 2011's box set, "Weather Report: The Columbia Albums 1976-1982," which celebrated the 40th anniversary of the band's formation). Yet what the six albums that make up this comprehensive collection prove beyond a shadow of a doubt is that the early to mid 1970s saw some of the most adventurous and satisfying work of Weather Report's entire lifespan. In fact, it's these recordings "Weather Report," "I Sing the Body Electric," "Live In Tokyo," "Sweetnighter," "Mysterious Traveller" and "Tale Spinnin'" that established Weather Report as one of the seminal fusion ensembles of the era, alongside such brethren bands as the Mahavishnu Orchestra, The Headhunters, and Return To Forever. 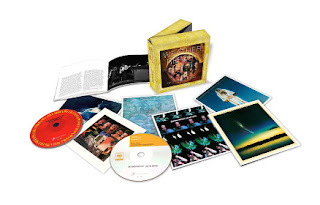 With remastered sound and authoritative liner notes by Bill Milkowski, Weather Report: The Columbia Albums 1971-1975, is also noteworthy for the inclusion of the complete Live In Tokyo, (a handful of whose tracks had appeared on I Sing the Body Electric) which captures the band at a peak performance in 1972. 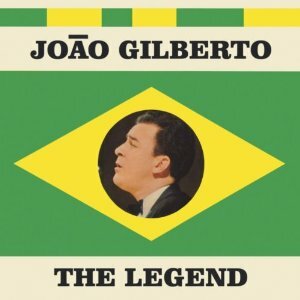 CD Compilation of the Month - "João Gilberto: The Legend"
A precious 2-CD set including Gilberto's first three LPs to Odeon ("Chega de Saudade," "O Amor O Sorriso E A Flor" and "João Gilberto") on their entirety, plus several bonus tracks from the 50s: the EP with songs from "Black Orpheus," another EP with the tracks from the "Copacabana Palace Soundtrack," his first 78rpm as a solo singer ("Meia Luz" and "Quando Ela Sai," cut in 1952), two singles with Gilberto as a member of the Garotos da Lua vocal group, recordings as a sideman for Elizeth Cardoso, Jonas Silva and Os Cariocas, a rare session with his idol Luiz Bonfá, and a live version of Jobim's "Outra Vez" (backed only by Miton Banana's unobtrusive brushwork on the drums) performed at the famous Bossa Nova concert at Carnegie Hall in 1962. Essential item! CD Reissue of the Month - "Masahiko Satoh & Soundbreakers: Amalgamation"
Edited August 30, 10am~8pm at Toshiba Records 2nd studio & October 24, 10am~6pm at Toshiba Records 2nd studio. 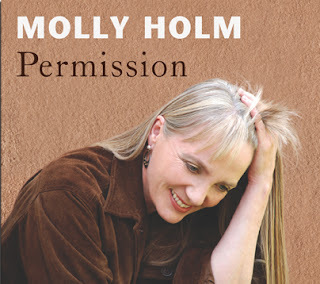 Vocal CD of the Month - "Molly Holm: Permission"
So far the best vocal jazz album of the year, "Permission" is an exercise in creativity and a lesson in adventurous music. It's a completely unpredictable album, full of surprises on each and every track. A top class vocalist that doesn't wants to be "the next Diana Krall" neither "the next jazz-cabaret sensation a la Jane Monheit" with all the clichés associated to both, Molly Holm expresses her own voice through a program of challenging originals and gems of the modern jazz. Some of them are jazz classics by Monk, Mongo and Mingus, two are cult tunes by Corea and Zawinul, only one is a GAS standard (the hauting ballad "You Don't Know What Love Is," in a voice/piano duo with Bill Bell), but all are treated with invention and grace. The way Molly re-works Mongo Santamaria's "Afro Blue" (with lyrics by Oscar Brown, Jr.) sounds specially attractive to me, 'cause she caresses the melody in a way that totally differs from Dianne Reeves' fiery version. Molly's take also burns, but "slowfiring" on you. I'm also glad to see she chose to record Charles Mingus' "Goodbye Pork Pie Hat" with the poem created by Rahsaan Roland Kirk for his 1975 WB album "The Return of the 5000 Lb Man," instead of using Joni Mitchell's alternative set of lyrics. 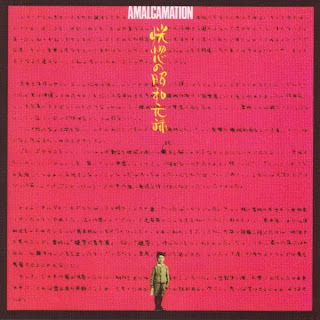 Other highlights: a short take on Thelonious Monk's "Straight No Chaser" (with lyrics by Leon Thomas), Joe Zawinul's "Go There Now" (lyrics by Paul Kreshka to the tune originally recorded by Cannonball Adderley back in 1967, with Joseph on piano, as "74 Miles Away"), Chick Corea/Neville Potter's forgotten tune "Sea Journey" -- composed during the RTF days for Stanley Clarke's debut album "Children of Forever" --, plus some intriguing Holm's originals like "Improvised Raga" (a duo with Marc van Wageningen, a bassist heavily influenced by Jaco Pastorius, as shown also on "Sea Journey"), the a cappella "Secret Words," the lyrical "Something Blue" (featuring the tenor sax of Larry Schneider, one of my idols since his association with Bill Evans on "Affinity" and "We Will Meet Again"), and "The Bear" with a Vocal Orchestra under the influence of her mentor Bobby McFerrin. For those who were not familiar with Molly Holm's visionary presence on the Bay Area music scene for over three decades, we must list her musical activities as an original member of Bobby McFerrin's Voicestra, as a featured singer with Terry Riley and Zakir Hussain, as a Mills College adjunct faculty member. Her far-ranging artistic pursuits, however, have not included recording an album of her own -- until now. Holm's overdue and highly anticipated debut, "Permission" (released on her own Rinny Zin imprint), showcases her unique, fully-formed jazz vocal artistry. "It is a debut in the sense that it is her first official offering under her name," writes CD annotator Tarabu Betserai Kirkland, "but given her long and extensive career as a jazz vocalist, improviser, composer, ensemble director, arranger, and educator, 'Permission' is more of a continuum than a prologue." "Permission" combines classic songs with six original compositions, some sporting her richly poetic lyrics. Holm's "The Bear" is a gorgeously harmonized a cappella piece performed by ten Bay Area singers, including Linda Tillery, Rhiannon, Raz Kennedy, and Nicolas Bearde, and was inspired by her former Mills instructors Pandit Pran Nath and Terry Riley. On the disc's opener, "Improvised Raga," Holm sings non-word syllables in the Kirana tradition of North Indian raga derived from Pran Nath, one of her major mentors. "Instead of waking from a dream, I feel like a dream has awakened me!" says Holm. "I've had such wonderful opportunities throughout my performance career -- working with, and learning from, diverse and highly-acclaimed artists who know how to push the envelope. And now, to finally bring together my own musical ideas into a single recording, I have to say it does my soul good." Besides members of Holm's own band -- pianist (and CD producer/arranger) Frank Martin, bassist Jeff Chambers, drummer Deszon Claiborne, and trombonist Wayne Wallace -- the participants include drummer Famoudou Don Moye, soprano and tenor saxophonist Larry Schneider (famous for his work on the Bill Evans/Toots Thielemans legendary "Affinity" album for Warner Bros.), vocal percussionist Antonia Minnecola, pianist Bill Bell, bassist Mark van Wageningen, percussionist David Frazier, the late drummers Paul van Wageningen and Eddie Marshall, and some of the key singers who, like Molly, sang in the original Voicestra. All, with the exception of Art Ensemble of Chicago member Moye, are based in the San Francisco Bay Area. Born in Salem, Oregon in 1954, Molly Holm grew up hearing Mingus, Ellington, Ella Fitzgerald, and Sarah Vaughan around the house and impromptu singing with her jazz-fan mother and four siblings. Joni Mitchell and Laura Nyro were important early vocal influences. "In high school," Holm recalls, "I learned to sing by listening to them. I didn't take voice lessons till I was 23." Holm moved to the Bay Area at 18 to study at Mills, but followed a circuitous path of singing and study elsewhere before returning to complete her bachelor's degree in 1979 and a master's in composition in 1982. Her classes at Mills with Pandit Pran Nath, Terry Riley, and W.A. Mathieu had a lasting impact on her own music. "One of the most important things I learned from Terry is that he's not afraid to just try anything," says Holm. "He doesn't seem to have any self-consciousness if he makes a mistake. I try to emulate that freedom, that lack of worry about making mistakes." Bobby McFerrin first encountered Holm when she was directing a 14-member choir called Jazzmouth. He tapped her to run the yearlong auditions for an a cappella vocal ensemble he was putting together, and in 1986 she was one of ten singers handpicked to join him in that innovative new vocal orchestra, Voicestra. "Bobby came up with the idea to use a group of singers by leading the improvising himself," she says. "He'd do the improvising and give the singers a repetitive part-circle singing or what we used to call 'add a part, change a part.' It was a huge thing to learn from him." Holm subsequently used these lessons in various singing groups she's led, including her new women's group, Molly Holm and The Impermanent Ensemble; in classes she's taught at Folsom Prison, the California Medical Facility in Vacaville; and for the past 14 years as an adjunct faculty member at Mills. In addition to her work with ensemble singing, Holm has self-produced concerts as a solo vocalist with rhythm-section support in years past, one of which led writer Fred Setterberg to describe her voice as "a fluid, birdsong alto, winding and lilting, with barely a hint of vibrato; a voice like the woody middle register of a clarinet." Her new CD gives her, well, permission to explore more deeply this aspect of her music. Molly Holm will be performing a CD release show with her band (Frank Martin, Jeff Chambers, Deszon Claiborne, Wayne Wallace, Melecio Magdaluyo, Antonia Minnecola) on Sunday 4/21 at the Freight & Salvage in Berkeley. Instrumental CD of the Month - "Ronnie Cuber: Live at JazzFest Berlin"
Recorded live (for a radio broadcast) at the Club Quasimodo @ "JazzFest Berlin" on November 12, 2008, and released now in 2013, this powerful & exciting CD focuses on Ronnie Cuber's playing in a straight-ahead context. "We did 2 hour-long sets and selected the best performances from each one," explains Cuber. The quartet is pure dynamite, and Cuber's dexterity on the baritone sax is impressive; everythings sounds so easy for this giant that he seems to be playing his complex & vigorous solos in a melodica! These German sets bring me great memories of the time I used to attend, week after week in the early 90s, Cuber's gigs every Monday night @ Zanzibar in New York, with the all-star team of Lew Soloff, Mark Egan, Danny Gottlieb and the late Joe Beck, all my dear friends. 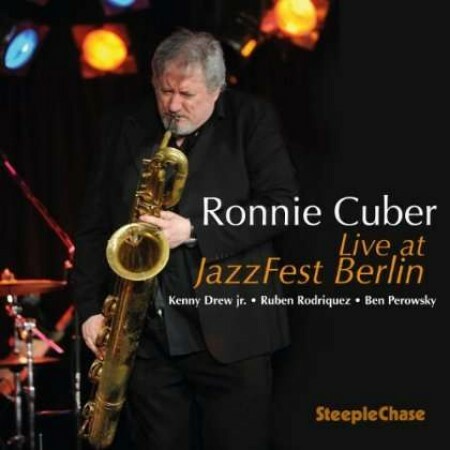 Not to mention my huge collection of Ronnie Cuber's appearances as sideman on a hundred albums for people like Dom Um Romão, George Benson, David Matthews and Roland Hanna, most of them cut @ Van Gelder Studio under the aegis of producer Creed Taylor. Horace Silver's classic "Tokyo Blues" would be worthy the CD alone. "It's a monster with a built-in groove," Ronnie says. But there's much more, including Clare Fischer's latin-tinged "Coco B" and a sample of Cuber's lyrical side on Herbie Hancock's soft & gentle "Tell Me A Bedtime Story," one of my personal favorite tunes since I heard Quincy Jones' marvelous version with Harry Lookofsky which I included on Quincy's "Summer In The City" CD that Arnaldo DeSouteiro produced for Verve in 2007. Cuber decided to revisit his own tunes "Passion Fruit" (based on the changes of "Summertime", but done here in a completely different way from its original take from the classic fusion project of the same name released in 1985, and which became a best-selling CD in Japan) and "Arroz Con Pollo," while fiery pianist Kenny Drew, Jr. contributed "Things Never Were What They Used To Be" (a series of variations, as the title suggests, on Mercer Ellington's "Things Ain't What They Used To Be," a tune that Cuber recorded and often plays with Steve Gadd's band The Gadd Gang) and "Perpetuating The Myth," inspired by Thelonious Monk. Can't wait the day that Cuber will also re-work, in an acoustic mood, another gem from the "Passion Fruit" CD: "Love Notes," a beautiful song that Brazilian piano genius João Donato played for several years in the late 80s after I introduced it to him. Luv ya, Ronnie!